In resinous flooring, the orange peel effect is not a necessarily a bad thing. Often it can be very desirable as it will produce a light anti-skid effect. However it can also become an issue of dispute between contractors and clients especially if clear expectations have not been set in advance of what the client will get. There have been times where I wanted a rather smooth surface and I got an orange peel texture. And there were other times where I deliberately wanted an orange peel texture but I got a smooth surface instead! So after years of trial and error I have identified some key factors that contribute to the orange peel effect in epoxies. 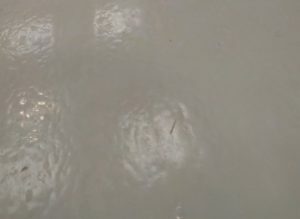 The tools used in the application of epoxies also play an important role. If you apply the product with a roller, thick wooly rollers will leave a larger intense orange peel effect compared to short-nap rollers. However one of the disadvantages of using a short-nap roller is that they tend to hold less product. You could end up applying a very thin film that would be prone to peeling and wear very quickly. A compromise solution would be to apply and spread the product evenly with a squeegee. Then have someone with spikes shoes back roll the product with a short-hair roller to eliminate squeegee marks. This should help you get a uniform texture throughout. I have found that the best application method for minimizing orange peel texture is using an airless spray gun. 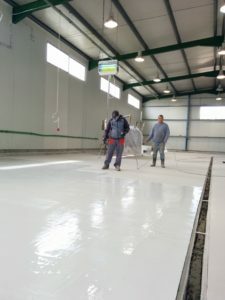 However properly using and maintaining airless equipment is an art in itself and only experienced staff are capable of getting a proper texture. Lots of things can go wrong when applying epoxies with a spray gun, so make sure you know what you are doing! 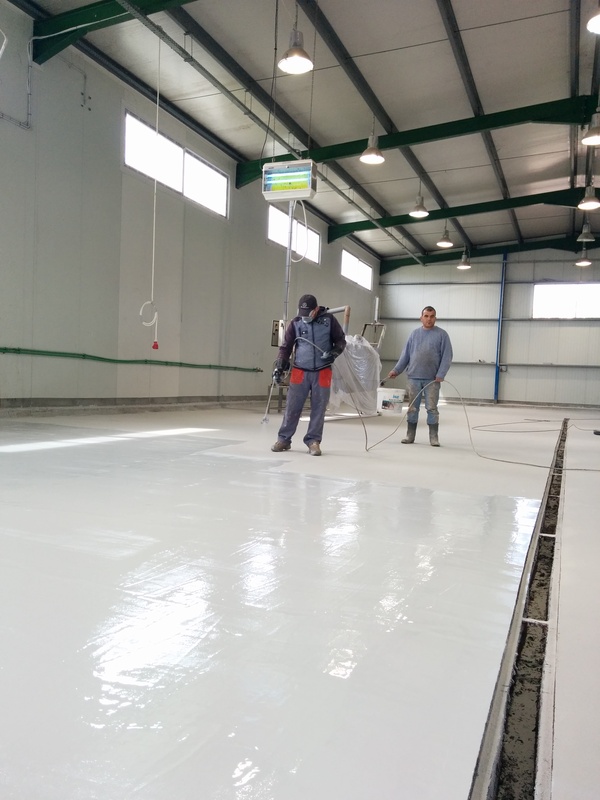 Read this article to learn more about applying epoxies with airless sprayers. Concluding I just want to say that each contractor needs to do his own experiments with his own staff, his preferred tools and the products he chooses to work with. In each project prevailing conditions (substrate, temperature etc) will differ. And if the client insists on a very smooth finish the best solution is to upgrade him to a self leveling floor coat. So what are your experiences? What in your opinion is the best way to minimize the orange peel texture?